According to a study by Music Business Worldwide and this article, the major labels are going to earn more than 5 billion US-$ in 2017 with music streaming. Adding approximately 28 % of independent record labels (their streaming shares in 2016), streaming could make more than 7,1 billion US-$ in 2017. Remembering that in 2016, streaming revenues “only” made 2,9 billion US-$, this would equal significantly more than doubling in just one year. Just a few months ago, in January 2017, some media like a large Financial Times article reported that they expect streaming revenues to double until 2020 with the starting point 2016… well, mission accomplished, maybe even in 2017. Does music streaming have the potential for a new “Golden Age” for the recorded music industry? My updated answer now is a sure “Yes”, and not only a “maybe”. However, one big issue is still, how the little men and women in this system, the artists, songwriters, small independent labels, can benefit from this exciting development on the same level like the major labels… a difficult problem as major labels hold corporate shares of Spotify (streaming market share more than 60 %), which do not have any impact on the artist royalties, respectively even lower the royalty pay out shares in the licence negotiations. Today’s article is a website recommendation for everyone, who wants to stay up-to-date on a daily basis about the latest news from the music industry, about comprehensive information about new trends in the business and technology around music, and wants to expand the knowledge about the music industries. Hypebot, founded in 2005, is the best resource for insiders of the music industries in my opinion. Leave a comment, what you think of hypebot, and which other blogs and resources are a must-read in your opinion! On a regular basis, music industry experts, associations and research institutions predict the future of the music industry – how it may evolve, how big the “next big thing” will be, how spectacular the digital innovations are going to have an impact on the music industry. Without any doubt, such outlook always provide a trend view, based on what happened in the past years and analysing the potential of the market. The combination of the numbers of the last years and expected numbers for the upcoming years makes such analyses interesting for the people and companies of the industry. As a lecturer for music industry topics, especially on artist development, I regularly put the focus on the changed situation for artist development. The variety of media channels, and therefore for of attention-grabbing channels, has become way larger than in the days before the digitalisation. Back in the days, there have been a limited number of (terrestric) radio stations, TV channels, CDs in your collections, games on your computer or console, and no smart phone. The opportunities for entertainment were limited in their absolute numbers and in their programm. Nowadays, you have the free choice of what and when you want to listen, to watch and to play on your devices. Due to the democratisation of production, distribution and promotion, the number of media products and channel of consumption (music, tv/video, games, etc.) is larger. And last but not least, you have the possibility to get access to the contents (free or with subscription fees) without buying single products. So, how can you succeed in such competitive media environment? Actually, it is not only a competition for the attention of the consumers, which is without any doubt the first step towards music exploitation. However, the most valuable consumers are those with a high identification for an artist. And this does not only require the consumer’s single attention, but additionally continuous attention and preference. I remember, back in my studies for my Ph.D. and for my book “Organisches Artist Development” (engl. 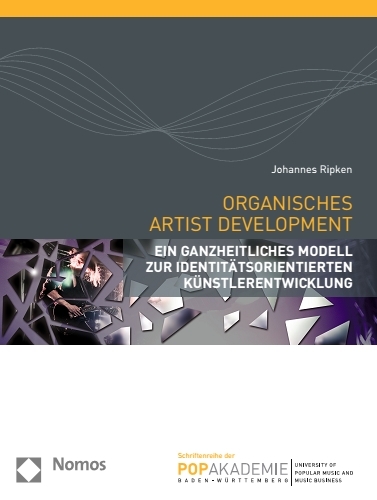 “Organic Artist Development”, Amazon: http://amzn.to/2iDSb4f) , I intensively worked with the German book “Popstars als Marke” (engl. “popstars as a brand”; Amazon: http://amzn.to/2kmjC3f), by Marcel Engh. The author developed a “consumer-fan-pyramid”, which displayed the steps from awareness/attention to being a fan. Why is it important to have more than only the attention/awareness? Having passionate fans, who do not only stream your songs on Spotify once or a few times (which is the result of getting attention/awareness), but discover and start loving your full discography, buy your records on CD or vinyl, come to your concerts, purchase your merchandise articles and tell their friends about how amazing your music and you as an artist is… that’s why the artists love what they are doing and how they can make a living from their art! So, make sure that you do not only attract attention, but also take care for those who are involved more than that! Many artists are unhappy about the small licence income from music streaming – for good reason. However, the major income for the music industries and artists always came from the highly involved artists, the so-called heavy users, who were highly emotional about their favorite artists that they did way more than only listening to the songs on occasion. So, artists should not lose their focus on such proper fans with high identification and loyalty. Again: make sure that you do not only attract attention, but also take care for those who are involved more than that! Many people in the business are annoyed about the decreasing payout rates of Spotify, for good reason. Spotify had a average amount of 0,00521 $ per stream in 2014, which is currently set at 0,00437 $ according to an analysis of The Trichordist. However, it is hard to get angry and react with a take down of your own label or artist catalogue from Spotify, when you realise that Spotify has a market share of 70 % within the streaming royalties displayed above. Therefore, there aren’t many alternatives to Spotify. Another service to highlight in this article is YouTube. It is widely known that the majority of record labels put much effort in their YouTube channel, promoting videos and previews at YouTube in other social media channels. In terms of the payout rates, this focus on YouTube feels a bit like casting pearls before swine, as you have such a low payout rate. Spotify pays over 6 times more than YouTube for each stream, and we are already annoyed by Spotify’s rates. Obviously, YouTube offers an essential advantage of playing the full video without any registration. Previewing a Spotify tune without account is only possible for 30 seconds. Nevertheless, comparing these two services, it is obvious that artists and labels should focus on directing their fan bases to Spotify, due to the higher payout rates. Another argument for Spotify is the growing relevance of the artist in the Spotify algorithms, when it comes to curated playlists, verifying the artist account, developing a community on Spotify and set sails for the streaming-dominated future in the music industries. A player to watch will be Apple iTunes (once more). The payout rates of Apple iTunes are nearly two time high in comparison to Spotify. If the market share of Apple iTunes grows in 2017, it will be a relevant player in the world of music streaming for the music industries. And probably, it will grow significantly. It actually has been a very long time, when I closed this blog. Back in 2013, I stopped writing new articles for this blog due to a lack of time. More than three years later, my experience in the business and other businesses has highly increased. So, I will now again regularly add new posts to this blog. You can now look forward to new articles, comments and reviews about topics on the music industries, especially artist development/management, digitalisation and the electronic music scene.